Get FREE SHIPPING on your Avon order of $25 or more! Use Avon Coupon Code HELLOSPRING to qualify for FREE SHIPPING. This offer is valid on Tuesday, March 20, 2018 from 6:00 A.M. ET, through 11:59 P.M. ET. Shop Now and get FREE SHIPPING! 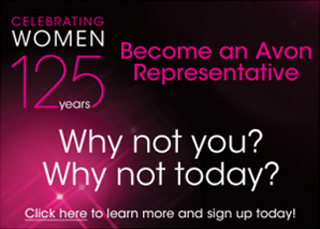 Avon March Makeup Madness brings with it lot of goodies in this campaign. Almost all of the foundations are on sale, Buy 1, Get 1 Half Price. Makeup is going Crazy on Sale this brochure. Avon True Color Flawless Liquid Foundation is only $8.99, regular price is $12. And don’t forget the primer. MagiX Face Perfector is on sale for $8.99, reg $12. MagiX fills in all the imperfections, leaving you with a smoother foundation for your color. It’s oil free, shine free and colorless. Just in time to get those feet into shape, Avon Foot Works is on sale. Check it out and see what your tootsies are in need of. And don’t forget to check out the clothing line (and shoes and bags) and the Espira Health and Wellness line to keep you full of energy. Use Avon Coupon Code MARCHSHIP during checkout and receive FREE SHIPPING on your Avon order of $25 or more. Hurry, this offer expires today at 11:59pm. Shop Now to lock in this deal! * Free shipping offer valid for mail delivery order only. To redeem, select standard shipping and enter coupon code: MARCHSHIP, expires 11:59 PM PT, 03/01/2018. Offer does not apply to express shipping methods and is valid only for shipping addresses in the contiguous United States.